The Hotel Fabricia is the image of large country Tuscan villa facing an environmentally protected seafront. 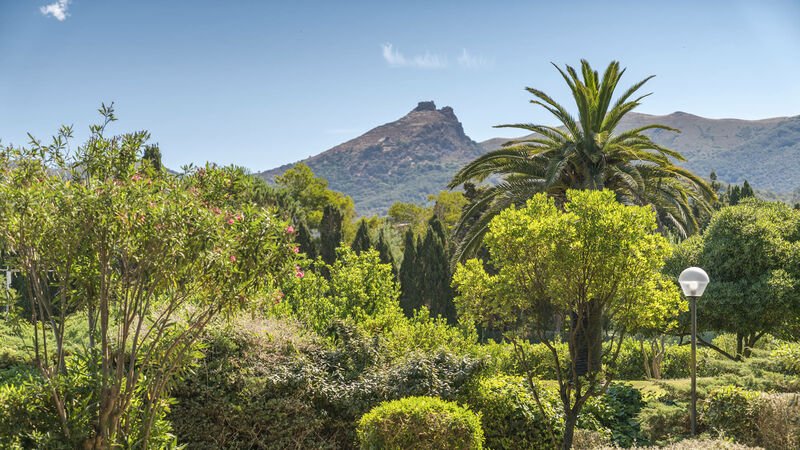 The four acre property boasts of a more than 200 year-old wall that separates its park like garden from the beach and the surrounding olive groves and vineyards. The hotel has 85 rooms. The beach has cabanas and a private boat dock. 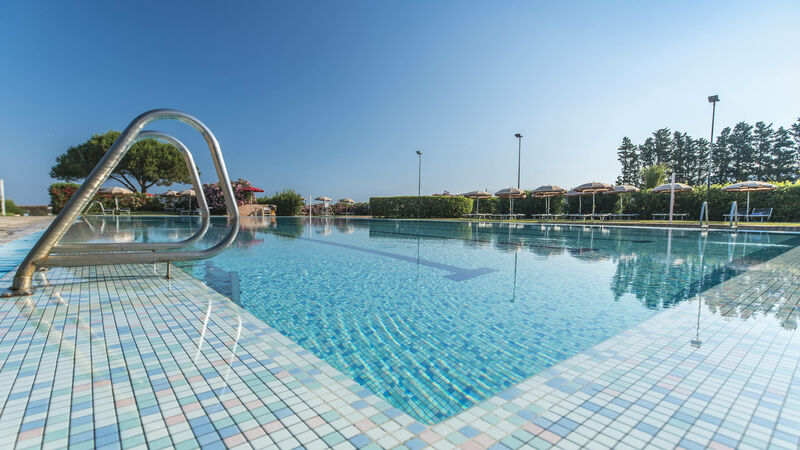 The Fabricia has a half Olympic size swimming pool, sea water Jacuzzis, two tennis courts, outdoor training equipment, mountain biking, a bocce court, as well as quiet restful areas in its gardens, a playground, an open air bungalow bar, a dog run and a large, private and shaded parking lot. 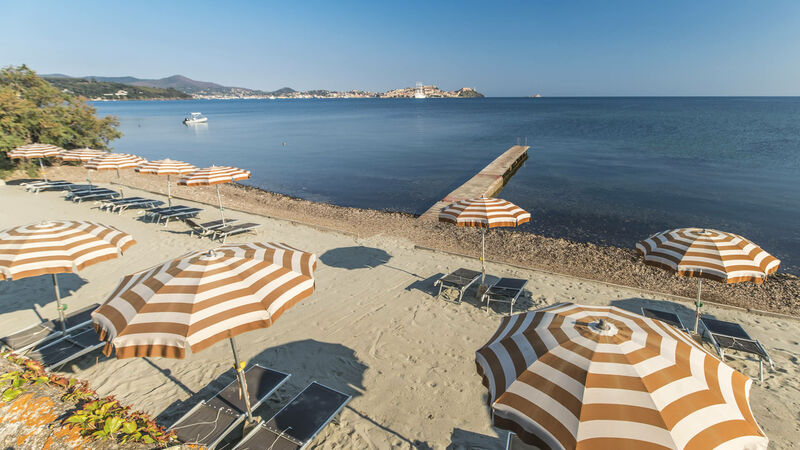 The Fabricia is 9 km from the port of Portoferraio, the Yachting Club and a marina that can accommodate vessels measuring up to 35 meters. 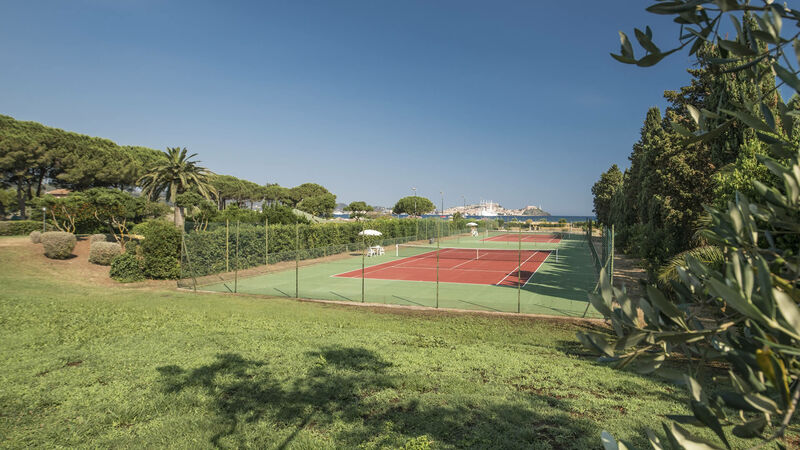 It is 25 km from Elba’s La Pila airport and 1 km from the Acquabona golf course.